The logstash module parse logstash regular logs and the slow log, it will support the plain text format and the JSON format (--log.format json). The default is the plain text format. The log fileset collects and parses the logs that Logstash writes to disk. The slowlog fileset parses the logstash slowlog. For the slowlog fileset, make sure to configure the Logstash slowlog option. 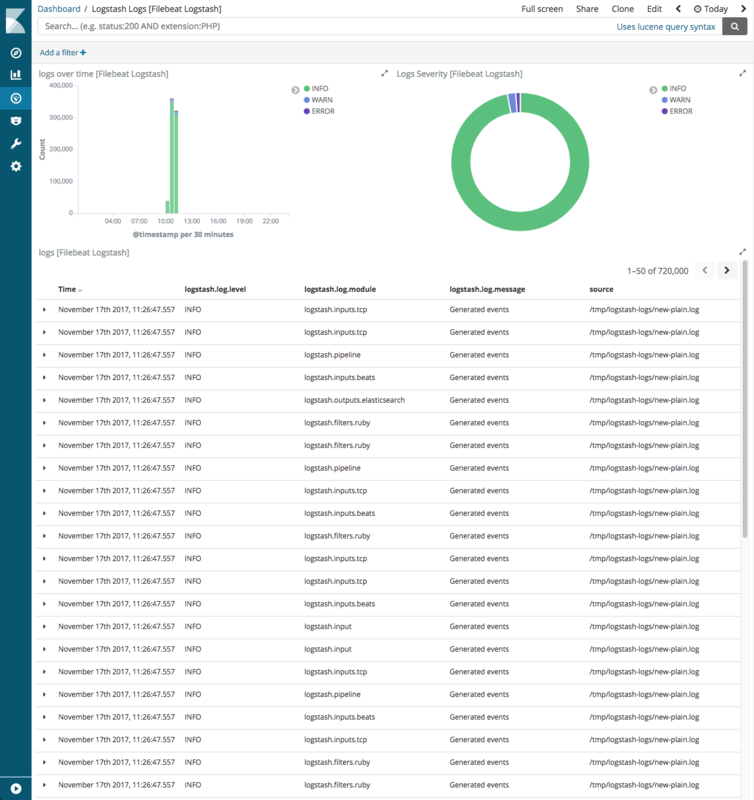 The Logstash log fileset was tested with logs from Logstash 5.6 and 6.0. You can further refine the behavior of the logstash module by specifying variable settings in the modules.d/logstash.yml file, or overriding settings at the command line. Each fileset has separate variable settings for configuring the behavior of the module. If you don’t specify variable settings, the logstash module uses the defaults. When you specify a setting at the command line, remember to prefix the setting with the module name, for example, logstash.log.var.paths instead of log.var.paths. 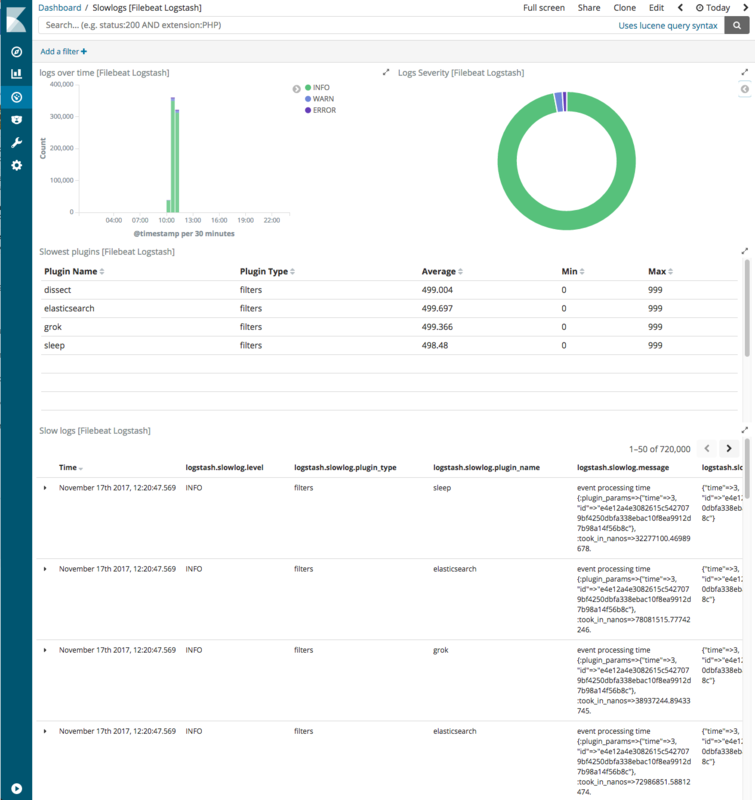 The configured Logstash log format. Possible values are: json or plain. The default is plain.